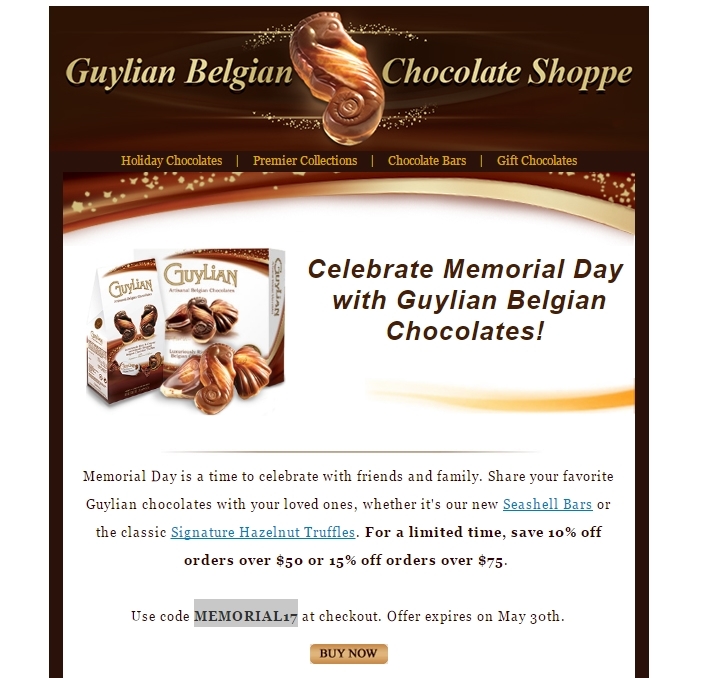 CESAR ROSAS Use code MEMORIAL17 to get 10% Off Orders Over $50 or 15% Off Orders Over $75 at GuyLian. This is a limited time offer. Laura DeLuca Applies to in stock items only. Expires 5/30/2017. Cannot be used retroactively. One promo code per order. Just enter the code at checkout. D. B Not valid with other offers or on previous purchases. Some exclusions may apply. While supplies last.